Ok y'all...I'll try really hard to make this article a little more substantial than just, oh my goodness, oh my goodness, oh my goodness!!! You HAVE to read this book!! Because seriously, once you read it, you'll see why that little freak out is more than enough. Melanie Benjamin's, The Autobiography of Mrs. Tom Thumb is easily the very best book I've read in a really long time. I loved everything about it---the setting, the characters, the story, the narration. It is just a wonderfully flawless story that played like a movie in my mind the entire time I was reading it. From Amazon: She was only two feet, eight inches tall, but more than a century later, her legend reaches out to us. As a child, Mercy Lavinia “Vinnie” Warren Bump was encouraged to live a life hidden away from the public. 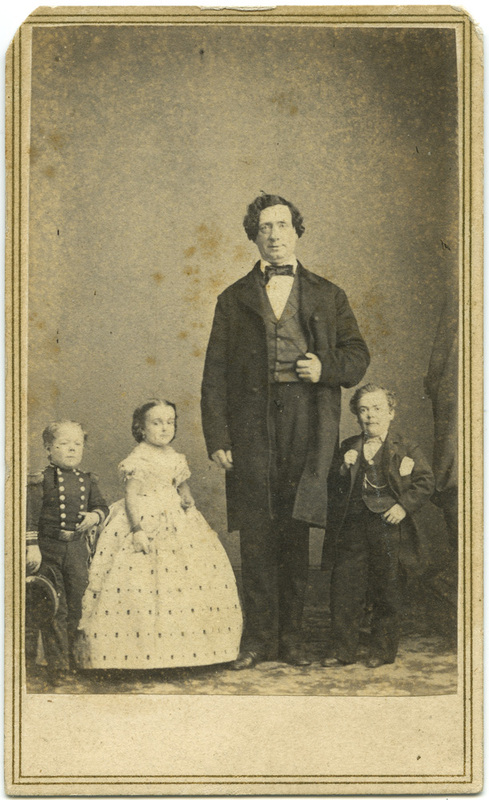 Instead, she reached out to the immortal impresario P. T. Barnum, married the tiny superstar General Tom Thumb in the wedding of the century, and became the world’s most unexpected celebrity. Vinnie’s wedding captivated the nation, preempted coverage of the Civil War, and even ushered her into the White House. But her fame also endangered the person she prized most: her similarly sized sister, Minnie, a gentle soul unable to escape the glare of Vinnie’s spotlight. 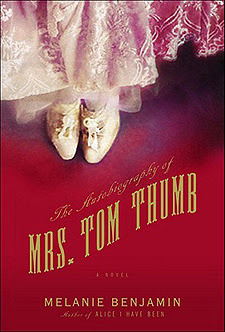 A barnstorming novel of the Gilded Age, The Autobiography of Mrs. Tom Thumb is the irresistible epic of a heroine who conquered the country with a heart as big as her dreams—and whose story will surely win over yours. According to the author's notes at the end, a good majority of this work is either definitely factual or probably pretty close to the truth. I just love stories like that because they lead me down rabbit trails to learn about things I never knew I was interested in. I love reading about America's Gilded Age and trying to find out ways to work words like, "phantasmagoria", "omnibus", and "automaton" into conversation. I also love a book that uses a great story to teach me about a piece of history long forgotten. I found myself feeling a range of emotions for Vinnie, but mostly sad. While some would call her a success and a star, I was sad for her that she really actually failed, over and over, at the things that matter most in life. 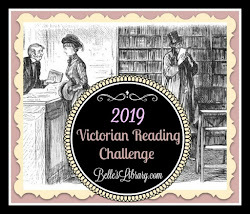 I often found myself putting this down to look up places and people: the Barnums, The Five Points in NYC, Jenny Lind, magic lanterns, Anna Dickinson, and more. The novel was obviously well-researched and the author used the information in a way that seemed natural and interesting. I found Benjamin's other story, Alice, I Have Been, at my library last night. I can't wait to jump in and enjoy it soon! That sounds very interesting! I'll keep a look out for it. Another great topic that I know I will find fascinating. I will have to look closer at your reading list.